Z Master 3000 Series mowers deliver impressive commercial-grade results and durablity, all at an outstanding value. Powerful commercial-grade 24.5 HP Kawasaki 708cc engine with 52" TURBO FORCE deck. Redesigned MyRIDEâ„¢ Suspension System features a fully suspended operator platform and adjustable rear shocks to provide a superior ride. MyRide Maximum Comfort: The suspended operator platform allows for 3.6" of travel and reduces impacts, bumps and vibrations that reach the operator, resulting in a superior ride. Personalized Ride Settings: The operator can easily and quickly adjust rear shock ride settings to account for their personal ride preferences, without the use of tools! A Flat Crisp Cut with Precision Blades: (.250) thick precision blades resist flexing to provide a flat, crisp cut. High-strength, heat-treated alloy steel survives impacts and provides resistance to the rapid wear commonly associated with abrasive conditions. Options include RecyclerÂ® and AtomicÂ® mulching blades, medium sail Bahai blades, and low sail sand blades. Rugged Frame: A commercial-grade carrier frame, constructed of 3" x 1.5" tubular steel, supports the cutting deck and stands up to the rigors of professional use. 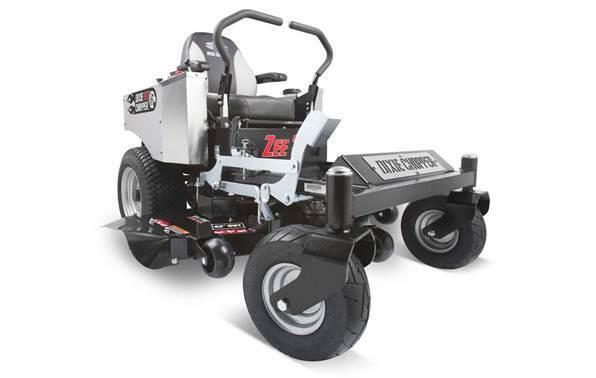 Drive Tires: 23" x 9.5" - 12"
E-Z Vacâ„¢ DFS Collection System: Quiet and powerful, the Toro E-Z Vacâ„¢ collection system is spindle-driven and offers quick conversion between bagging and side discharge without tools.The horizontal blower impeller is positioned parallel to, and above the mower deck creating continuous airflow from deck to collection system. The Dump-From-the-Seat (DFS) features allows you to dump debris in only seconds - without ever having to leave your seat! Deck-mounted, spindle-driven fan; Dump-From-the-Seat, commercial- grade steel and polyethylene hopper; 8.3 cu. ft. capacity (6.7 bushels). L 48" deck - 103.2" (262.0 cm)W 48" deck - 63.9" (162.3 cm)> L 52" deck - 103.2" (262.0 cm)W52" deck - 67.8" (172.1 cm) Deck-mounted, spindle-driven fan; Dump-From-the-Seat, commercial- grade steel and polyethylene hopper; 13.7 cu. ft. capacity (11 bushels). L 60" deck - 107.1" (271..9 cm)W 60" deck - 75.2" (191.1 cm) L72" deck - 110.2" (281.3 cm)W 72" deck - 87.2" (221.1 cm) NOTE: Length & width measurements are as installed. RecyclerÂ® Mulching Kits: Recycler mulching kits deliver the industry's finest mulching performance and reduce mowing time up to 38% vs. bagging*. *Respondents in a Texas A&M University study cut their lawns 38% faster when they didn't bag. Optional Blades: In addition to the high sail blade, which comes standard on Z MasterÂ® Z590 Series mowers, additional 1/4" (6 mm) blades are available to match regional and seasonal mowing conditions. Options include RecyclerÂ® and AtomicÂ® mulching blades, medium sail Bahai blades, and low sail sand blades. Utility Bags: ToroÂ® utility bags for riding mowers are ideal for holding trash, tools, keys, and cell phones. They keep landscaping pros on the go and productive by transporting the essentials they need to get the job done. The lightweight yet durable bags are constructed of heavy-duty mesh fabric to keep contents secure, visible and within reach. 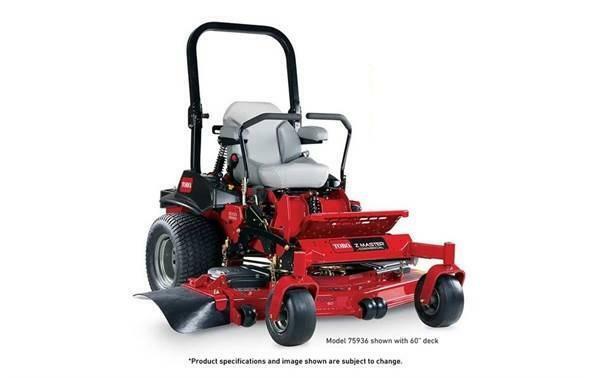 They're available in over-the-seat and armrest styles and in sizes that match varying machines and mowing needs. 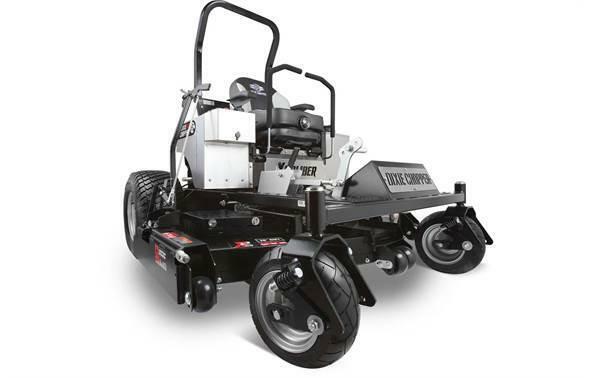 Cool Topsâ„¢ Downdraft System: Available exclusively from Toro, the Cool Tops downdraft system is a patented, 12-volt fan that can be mounted to ToroÂ® Z MasterÂ® riding mowers equipped with a roll-over protection system (ROPS) - whether old or new. It's designed to promote comfort and productivity by keeping motor heat, insects, and debris off equipment operators. 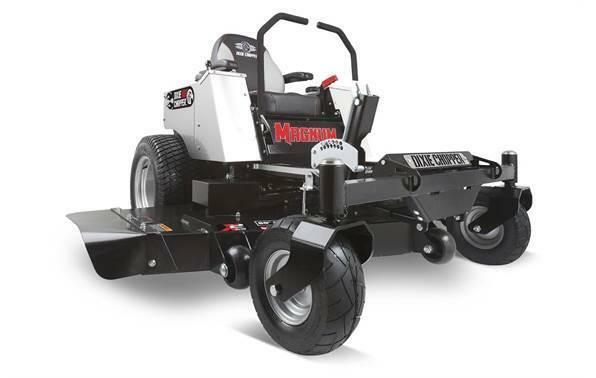 The Cool Tops heavy-duty, S Blade Trimline fan utilizes the power system of a mower's traction unit to deliver an output of 1800 cubic feet per minute (cfm) (50.9 cubic metres per minute) air flow. The fan's sturdy construction measures 25 inches (63.5 cm) long by 20.5 inches (52 cm) wide and includes a steel frame, plus a waterproof motor and switch.